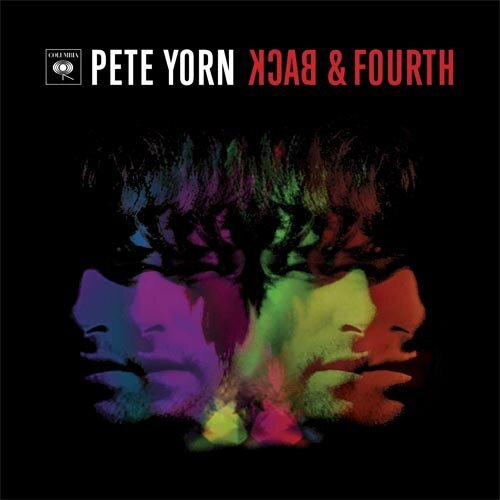 kidslooklikekats: Pete Yorn: "Back & Fourth". 3) Sparser instrumentation tightens up those heartstrings. Back & Fourth starts off on a sad note, and doesn't ever really lift. "Don't Wanna' Cry" is a teary-eyed lament that contradicts itself quite blatantly as Yorn nearly bursts into tears at every twist of the soulful dirge. "Paradise Cove" trudges along like a self-loathing rejected lover at the end of his rope. "Close" offers the first quasi-bright light at the end of the tunnel, and features triumphant orchestration and hard-hitting drums. Although the opening trio sets the stage for a true alt-country experience, "Social Development Dance" sees Yorn sinking back into his comfortable nostalgic pensiveness, at the hands of a tinkling bluegrass rock ballad, and "Shotgun" revisits Pete's poppy side so evident in tunes like the breakthrough "Strange Condition" off of 2001's Musicforthemorningafter. "Last Summer" is Back & Fourth's big rocker, though the song still ebbs and flows behind Yorn's pent-up, near-emotional outbursts in lines like "We were great last summer / We cannot go back again". "Four Years" waltzes atop the last amber light of summer, celebrates a new era like two lovers reunited from distance and hardship. It's these latter tunes, and especially the closer "Long Time Nothing New", that really jab at the heart and soul of the listener, making the album officially Yorn's "Million Dollar Baby". A clear DIY-ethic paired with thoughtful lyrics and twinkling orchestration creates the neo-classic in Back & Fourth, and although you may not find much in Yorn's stylistic delivery, there can be little argument regarding his rapid growth and maturity as a songwriter this fourth time around. Finally, a solid and clear-cut definition of Yorn through the successful melding of original song styles with lush lyrical delivery and tasteful instrumentation that sets Back & Fourth apart just enough to achieve noteworthiness. A much appreciated effort by Yorn.